For over a decade this Hollywood legend and beauty icon has guided one of the best-known brands in wigs, hairpieces and hair extensions. Always one step ahead, Raquel Welch is known for great innovation in wig coloring, construction and overall wear-ability. 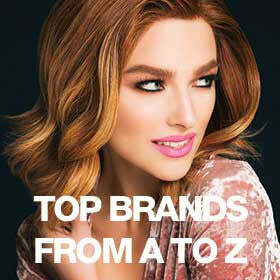 Enjoy the wonderfully rich variety of styles and colors as you shop one of Wigs.com’s most popular brands. Showing items 1-24 of 110.